1. Do Klee Kai shed, or bark, or dig, or climb? Yes! The Alaskan Klee Kai is a breed in which you find many different characteristics. As with all dogs, a variety of behaviors can be trained both into and out of a dog. Depending on the dog's coat, the Klee Kai might shed, depending on their temperament, they might bark or dig or climb. A house with a fenced in yard is best for Klee Kai, but never assume your fence is tall enough! Like their bigger relatives, Klee Kai are resourceful and versatile. They are also extremely smart. With the right nurturing environment, you can help your Klee Kai to demonstrate the perfect dog companion to the world. 2. How much do Alaskan Klee Kai cost? The prices will shift depending on the litters and the "breed or pet" quality of the dogs. However, these are pure-bred, show quality dogs, and therefore can be expensive. The price you pay, however, is rewarded millions of times over by the wonderful quality and perfect companionship that you will find in your Alaskan Klee Kai. 3. Why is there such a lengthy and detailed questionnaire to fill out to obtain a Klee Kai, why can't I just come visit you and pick one up? Why is there a waiting list? The Alaskan Klee Kai is a rare and young breed. Responsible breeders take care to make sure that their babies are going to the perfect homes. 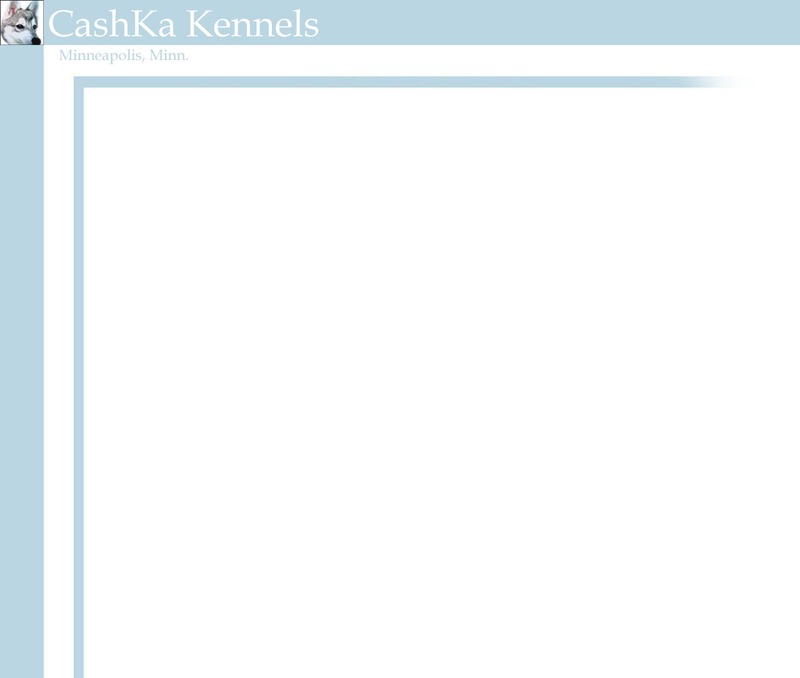 CashKa Kennels takes great care in matching the dog exactly with the individual. Many times people will wait months and months to obtain a Klee Kai, because they are waiting for certain aspects to appear in litter. We want to make sure that our puppies are going to homes which respect the Alaskan Klee Kai and which will take every opportunity they have to learn about the dogs and create the best environment for them. Klee Kai, although rare, are in high demand. As breeders, we will not sell our puppies to anyone that we feel are not absolutely perfect for them. At CashKa Kennels, our dogs are our family. They sleep in our bed at night and go with us wherever we go. I want myself, as well as our dogs, to be confident in the fact that the puppies will be given loyal and loving homes.